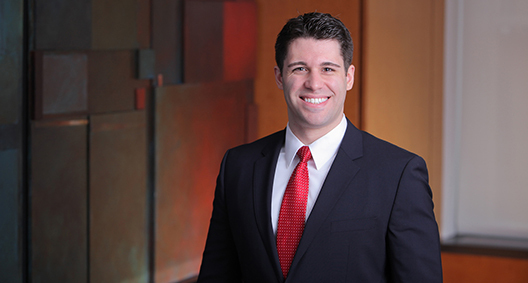 Andrew Serrao focuses his practice on bankruptcy litigation, white-collar criminal defense, anti-corruption matters and corporate investigations. Using his prior experience as a federal law clerk, Andrew effectively represents his clients in all aspects of litigation. While in law school, Andrew served as Editor-in-Chief of the American Bankruptcy Institute Law Review, and was a National Competitor for the Moot Court Honor Society. Upon graduation, Andrew received the American Bankruptcy Institute Medal for Excellence in Bankruptcy Studies. Member of the BakerHostetler team working as counsel to the court-appointed SIPA Trustee in the liquidation of Bernard L. Madoff Investment Securities LLC, an unprecedented recovery effort stemming from one of the largest financial frauds in U.S. history. Conducted internal investigation of a Fortune 100 company in connection with alleged criminal antitrust violations. Managed search warrant response, conducted employee interviews and ensured subpoena compliance. Represents individual under DOJ and SEC investigation for alleged violations of the Foreign Corrupt Practices Act. Serves as a senior associate in litigation against a British Virgin Islands investment fund. Conducts multinational investigations in the United States, Europe and the Caribbean to trace billions of dollars of assets, and collaborates with foreign government officials in criminal investigations stemming from the Madoff Ponzi scheme. Represented individual in appeal concerning bankruptcy court’s decision on opposition’s standing to prosecute claims against client. Won appeal in New York’s Supreme Court, Second Judicial Department, concerning client’s standing to seek visitation with his young daughter. Currently represents client in second appeal concerning issue of first impression on child custody and parental rights. Argued appeal in representation of son of deceased mother concerning claim filed with the September 11th Victim Compensation Fund. Represents Mexican transgender client in application for asylum based on gender identity. Involved in the firm’s partnership with Her Justice, an organization that provides legal services to low-income women and victims of domestic violence. Currently represents client in litigated divorce in Bronx Supreme Court.